Lutradur is a spunbonded polyester nonwoven material. It is fabulously versatile and can be used by people of all ages and abilities to create an amazing assortment of crafts. 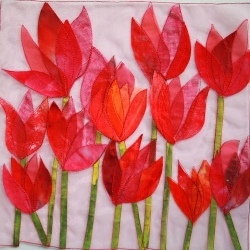 Try stitching, embroidering, distressing with heat, colouring, cutting, glueing and more! The finer weights are translucent and ideal for layering.